A new study released last month raises potential concerns about the ways in which teacher assignment decisions may impact student achievement. The study, which included data from the Miami-Dade County Public School district between 2003-2012, examined whether less-effective teachers were assigned to untested grades, and how those assignments affect students’ long-term academic achievement. Previous studies have found that principals do take into account students’ academic growth when making decisions about teacher grade level assignments. 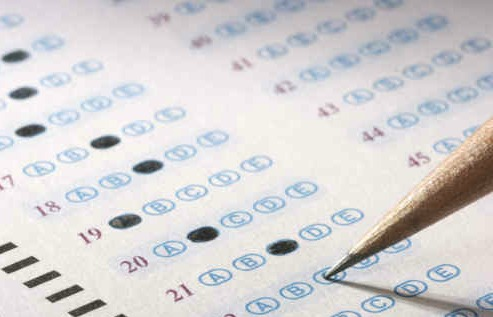 One major factor in this decision is student scores on high-stakes standardized tests. Additionally, there has been evidence that less-effective teachers are more likely to be re-assigned to a low-stakes, untested classroom for the following school year. To further clarify whether teachers are re-assigned based on test scores, researchers measured the effect that a teacher has on students’ test score growth year over year. (Low-stakes tests given across the M-DCPS district were used to measure academic growth at the K-2 level.) They then examined the relationship between student test score growth and teacher grade level assignment in the following school year. Researchers found that highly effective teachers in grades K-2, grades in which students are not subject to state tests, were more likely to be reassigned to grades three to five —tested, high-stakes grades— in the following school year. In contrast, highly effective teachers in third through fifth grades were unlikely to be reassigned to an untested grade. However, their lower-performing peers those third, fourth and fifth-grade teachers whose students made the least progress were more likely to be assigned to an untested K-2 grade in the following year. Researchers believe that by reassigning less-effective teachers out of tested grades, principals hope to improve student test scores over the short term. But what are the long-term consequences of concentrating the least-effective teachers in the “low-stakes” grades? Though high-stakes standardized testing at the elementary level is focused in grades three through five, foundational skills learned in grades K-2, such as basic math and early literacy, drive success at all levels. After finding that lower-performing teachers are more likely to be reassigned to an untested grade, the researchers examined the effect that the resulting concentration of less-effective K-2 teachers could have on a student’s long-term achievement. Second graders taught by a teacher who had recently been reassigned from a tested grade had significantly lower gains in both literacy and math than their peers taught by teachers who had not been reassigned. Crucially, these effects carried into the following school year: a student taught by a recently reassigned teacher in second grade would also have lower third grade scores than their peers, reflecting a gap equivalent to having been taught by a first-year teacher during the second grade. Clustering the least-effective teachers in untested grades— particularly K-2, where foundational skills like reading are taught— may have long-term consequences for student learning. Researchers have found that despite these lower gains for students over the long term, principals tend to focus on short-term staffing needs, and concentrate the highest-performing teachers in high-stakes, tested grades. These findings should raise questions for any district: How are student test scores used in staffing decisions, and how do those decisions affect student learning long term?